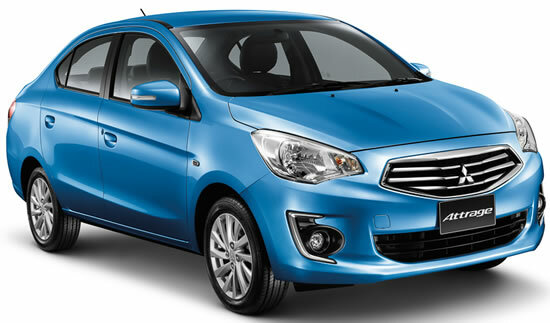 Mitsubishi Motors announced that its next-generation global compact sedan- Attrage, will be launched in the Thai market this July. The Attrage qualifies for the Thai government’s Eco-car Project and will be produced at MMC’s third factory at the Laem Chabang Industrial Estate in Chonburi province in Thailand.The Attrage is expected to achieve a fuel efficiency of 22 km/liter, among the best in its class, achieved with a combination of uncompromising weight reduction throughout. The Attrage delivers driving pleasure thanks to agility and pleasing driving dynamics stemming from its lighter weight as well as its reassuring handling, stability and comfortable ride. Passenger comfort is enhanced by the high hip point and large door openings which facilitate entry and exit as well as by its generous rear seat leg space.